← Can Ginger (Zinger officinale) Lower Blood Sugar Levels? L-tryptophan is an essential amino acid. This means that the body cannot synthesis the amino acid, and so a dietary source must be provided for life to proceed. L-tryptophan has a number of interesting functions, one of which is its conversion to serotonin in the brain. Serotonin is an important neurotransmitter that may play a significant role in mood. One theory suggest that low levels of serotonin in certain parts of the brain may cause depressive symptoms. In order for L-tryptophan to be able to be synthesised into serotonin, it must first be absorbed and pass into the blood. From here it must then cross the blood brain barrier and enter the brain. Within neurons, the L-tryptophan is then converted to serotonin. The enzyme responsible for the conversion of L-tryptophan to serotonin is tryptophan hydroxylase, and this enzyme is dependent on the presence of iron. An iron deficiency can therefore inhibit the production of serotonin and this may explain the mood altering effects of iron deficient anaemia. L-tryptophan is an essential amino acid. It is found as a normal component of protein foods. The normal intake of L-tryptophan from protein foods would be in the gram amounts. Without a dietary source of L-tryptophan health will deteriorate rapidly. L-tryptophan is used by the brain to synthesise serotonin. Dietary and blood levels of L-tryptophan can therefore influence mood. The L-tryptophan content of neurones is usually low and not be high enough to saturate the tryptophan hydroxylase enzyme. Therefore increasing neuronal levels of L-tryptophan has the potential to increase brain production of serotonin by providing more substrate to the converting enzyme. Animal experiment have demonstrated that administration of L-tryptophan to the blood of animals through either injections or oral routes does increase brain levels of L-tryptophan and this can then raise brain levels of serotonin. Restriction of L-tryptophan in the diets of animals has also been shown to lower blood levels of L-tryptophan, and this in turn can lower brain levels of L-tryptophan and of serotonin. Therefore the brain levels of L-tryptophan and serotonin are dependent on the blood levels of L-tryptophan, something that is also evidenced in humans. Very small increases in L-tryptophan, lower than can be seen through natural diurnal variation, can cause significant increases in brain levels of serotonin. 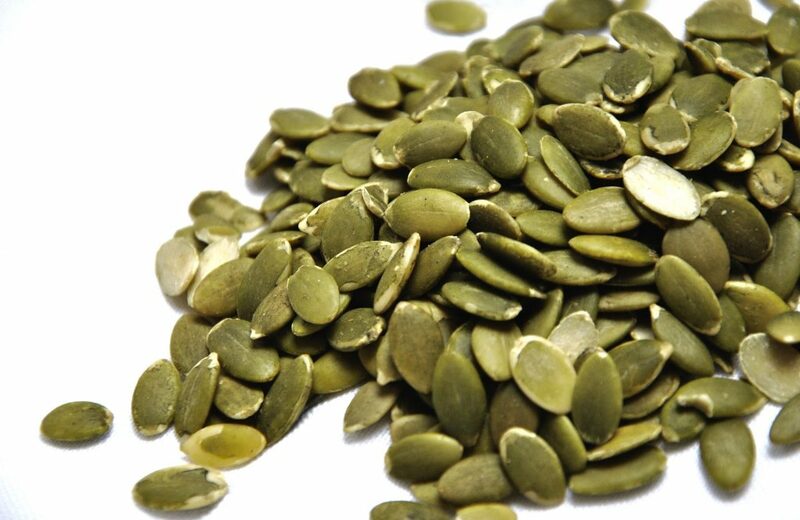 Foods rich in L-tryptophan include turkey, chicken, red meat, legumes, oats, pumpkin seeds and tuna fish. These foods have the potential to raise plasma levels of L-tryptophan by supplying a rich source of the amino acid. However, L-tryptophan can also enter the circulation from the pool of L-tryptophan stored in tissues. Supplements of L-tryptophan are also a convenient way to increase blood levels of the amino acid. Studies show that consumption of L-tryptophan containing drinks do cause modest increases in blood levels of L-tryptophan. However, the release of insulin can cause large increases in L-tryptophan, and so carbohydrate foods, devoid of L-tryptophan, may actually be a better way of raising blood levels of L-tryptophan. This ability of carbohydrate containing foods to raise blood levels of L-tryptophan to a greater extent that protein foods containing the amino acid is called the tryptophan paradox. Because small fluctuations in blood levels of L-tryptophan can cause changes in brain levels of L-tryptophan, it may be of interest to consider the factors that naturally alter plasma blood levels of L-tryptophan. Blood levels of L-tryptophan are maintained by balancing the addition of L-tryptophan from the diet and the pools in tissues, and the removal of L-tryptophan by uptake to the tissues and from catabolism in the liver. The ingestion of dietary protein leads to the absorption of L-tryptophan and some of the L-tryptophan enters the blood. The size of this L-tryptophan load can depend on the type and amount of protein consumed, as some protein sources contain significantly more protein that others. The L-tryptophan degrading enzyme in the liver, tryptophan pyrrolase shows diurnal variation, and this may affect blood levels of L-tryptophan, with levels peaking in the mid afternoon. Insulin release causes a significant increase in plasma L-tryptophan levels and this can increase serotonin production. This entry was posted in L-tryptophan, Serotonin. Bookmark the permalink.